Free People is offering a series of unique wellness events during the month of August. The Leo New Moon Workshop (Aug 10) will help you set your intentions for the cycle ahead. Friday August 10, 7-8:30 P.M.
A New Moon workshop and Story Medicine Circle to help set your intentions for the cycle ahead. After the workshop, enjoy Moon Juice's Adaptogenic Lattes for an extra wellness boost! Buy New York tickets here. Surf with Wavehuggers (Aug 11) is a two-hour class with ocean-conscious surf instructors. Saturday August 11, 10 A.M. - 12 P.M.
Join Free People and Wavehuggers to Move Together outdoors! Their team of ocean-conscious surf instructors will lead a two-hour long class with surfboards and wet suits provided. All ages + skill levels welcome! 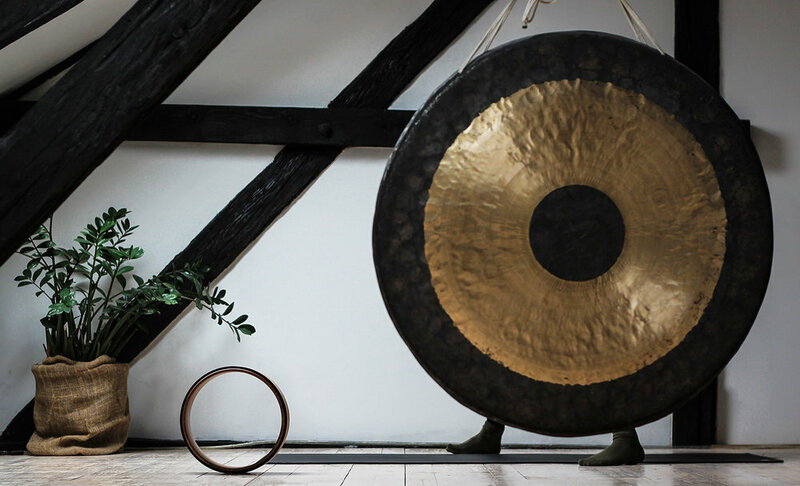 The Gong Bath Meditation Workshop (Aug 14) focuses on movement and meditation for total rejuvenation. Tuesday August 14, 7 P.M. - 8:30 P.M.
Movement and meditation, then immerse yourself in a 45-minute gong bath. The therapeutic vibrations of sound will leave you rejuvenated and blissful to carry you through the week with a deeper connection to one's self. RSVP for New York event here. Elemental Tarot Reading (Aug 22) will help you gain deeper insight into your card readings by following the guidance of the five elements of Earth Magic. Wednesday August 22, 7 P.M. - 8 P.M.
Gain deeper insight into your readings by following the guidance of the 5 elements of Earth Magic. Find out how Tarot reader Melinda Lee Holm taps the powers of Air, Earth, Fire, Water, and Spirit to get the most out of her readings for her community. RSVP for California event here. Witch Don't Kill My Vibe: Art of The Altar With Emily Mikaelah (Aug 28) teaches the art of creating sacred space, altar making, and working with spiritual allies. Tuesday August 28, 7 P.M. - 8:30 P.M.
Join Emily Mikaelah of Helios + Solene for an evening of creating sacred space in our inner and outer worlds, traditional and intuitive altar making, and working with spiritual allies for deeper work. Set intentions for months ahead and tune into your divine self! Free People is also offering several fitness workshops, including Beach Barre and DanceBody. For Free People's complete list of workshops and events, including Beach Barre and Express Hand Massages with Kopari, click here.